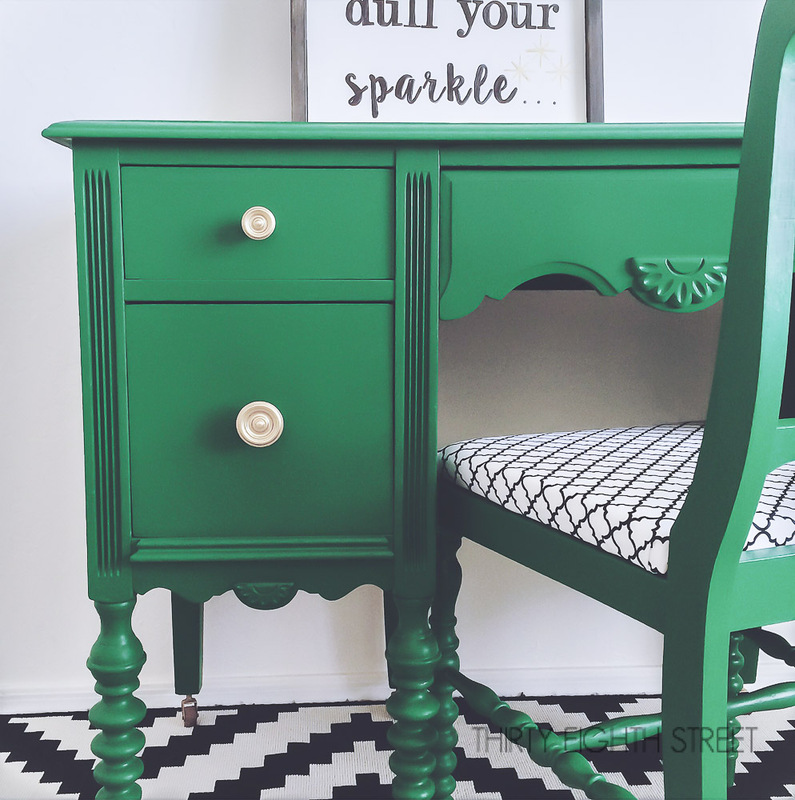 Painting furniture in emerald green is not for everyone. But, this bold color is a head turner! 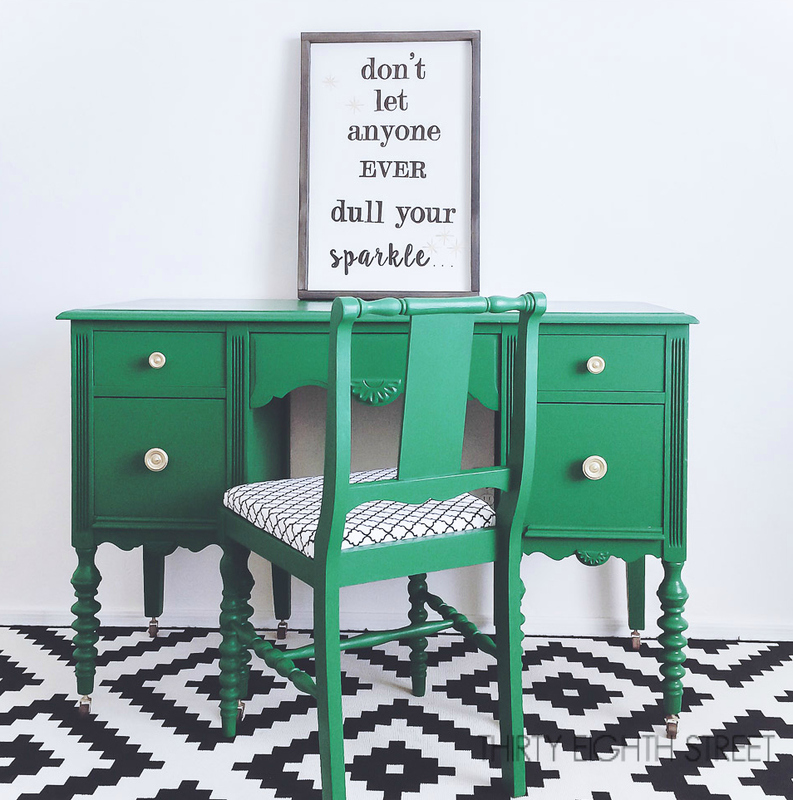 Need some Green Painted DIY furniture inspiration? You've come to the right place! 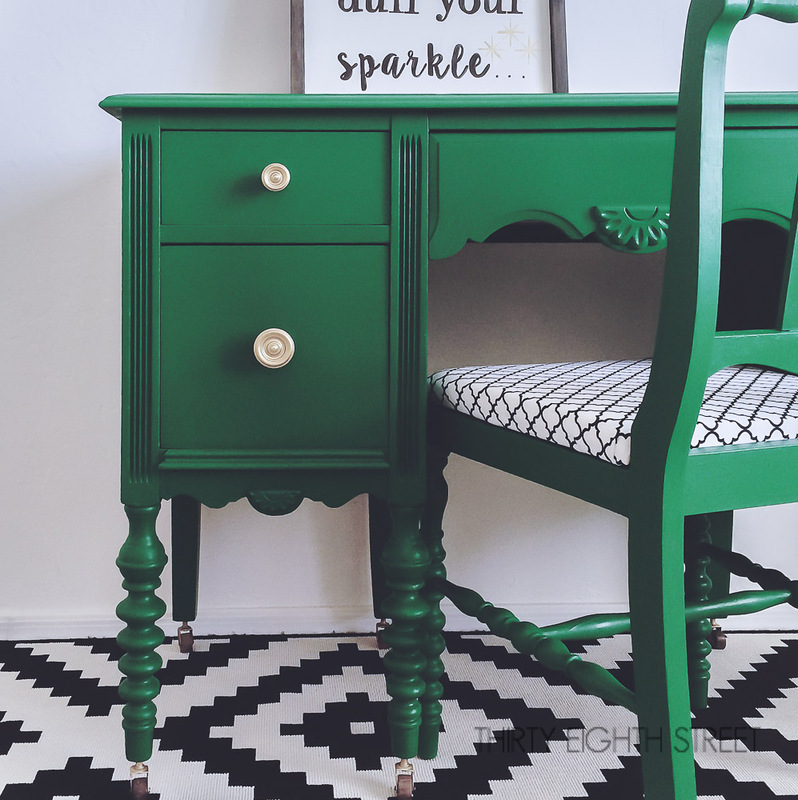 Take a peak at this lovely Emerald Green Painted Desk Makeover and see if green is your thing. Disclaimer: This post may contain affiliate links to products I love and use everyday. This means that I receive a small commission for purchases that are made through these links. Please read our full disclosure here for more info. Painting furniture is therapeutic for me. And for some reason, this next makeover was a real treat to work on. 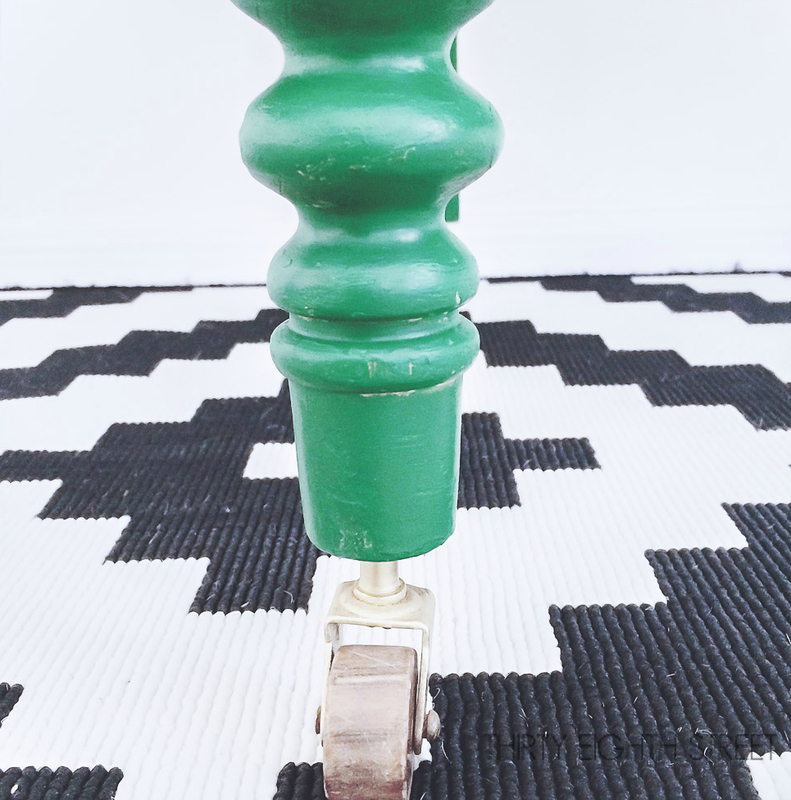 From the time I opened my can of General Finishes Milk Paint in Emerald Green to the very last picture taken, I think I had a perm-a-grin! That doesn't always happen with a furniture makeover story. 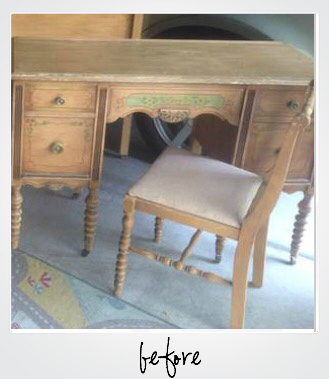 But, it happened here and it all started by finding this old antique desk from the 1890's. I started with the wheels. They received a good cleaning and some painters tape. 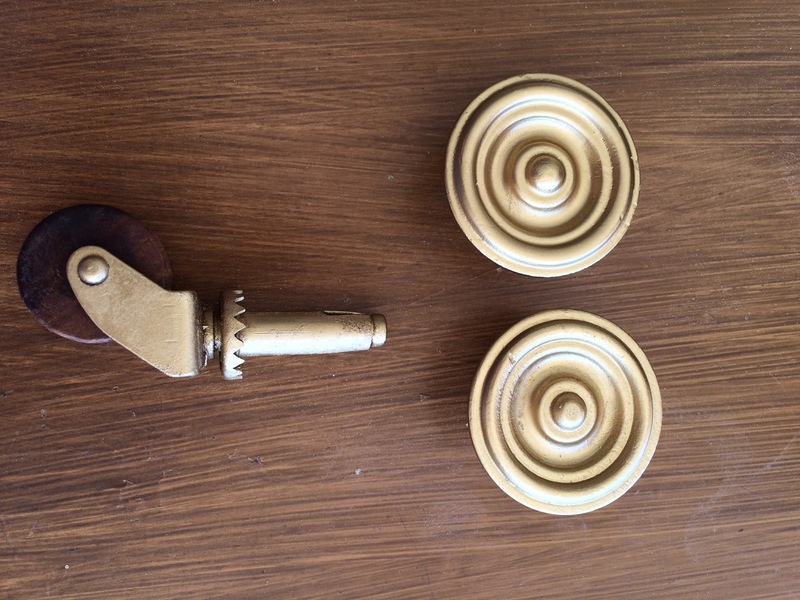 Then, I sprayed them with some gold spray paint. The hardware received the same spa treatment. And while they were drying I could turn my attention to the chipping finish and the new upholstery on the chair. Both the chair and the desk received a good sanding. 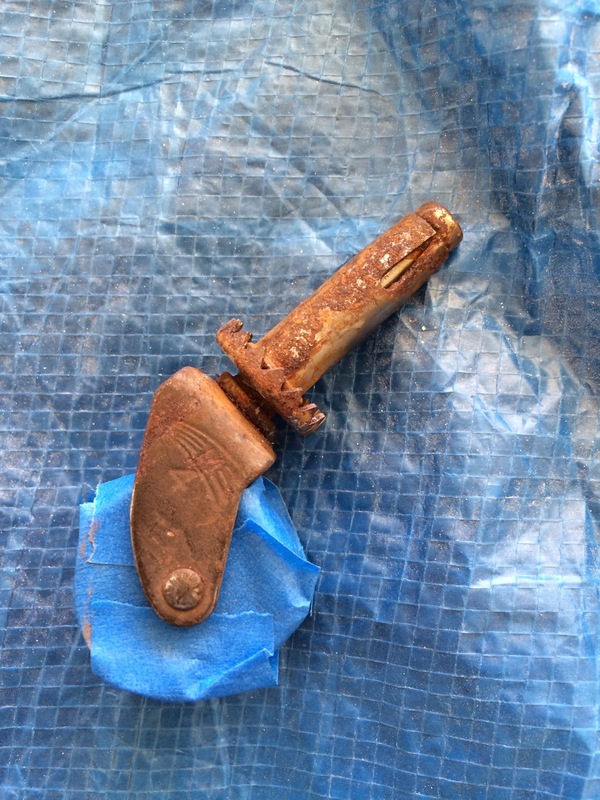 The chippy finish was a cinch to take off.... one of the perks of finding a piece so old. ;) And then, the magic started. If you're looking for a really nice Emerald Green hue, General Finishes has it. I'm smitten. Here's why... Meet The Cynthia Dresser all dolled up. 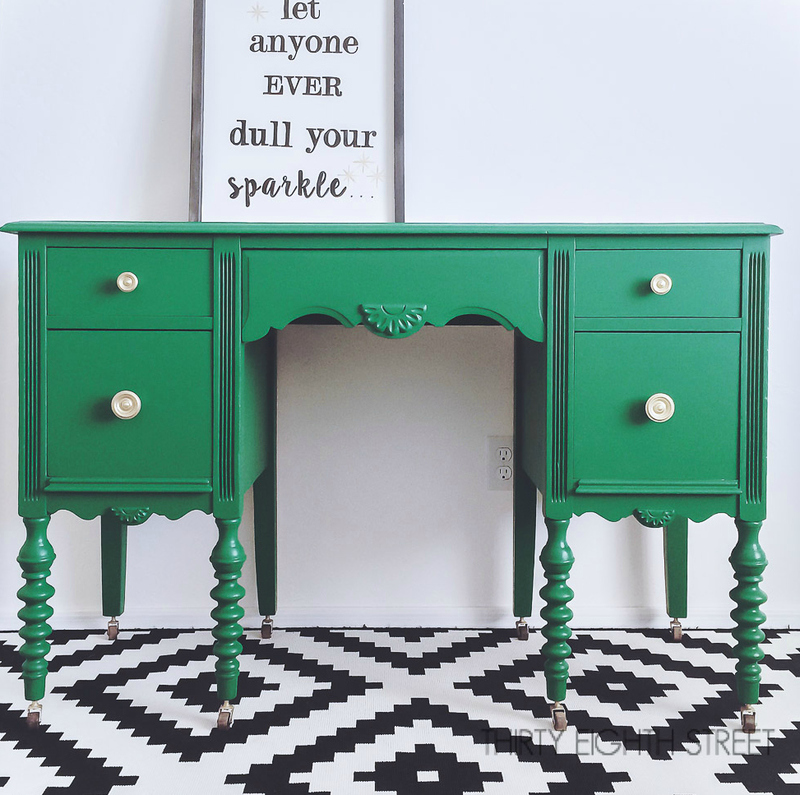 Thank you, HGTV for featuring this desk makeover! I adore this desk and the color is perfect! It would go well with the dresser I just painted. I love the rug too-where did you get it? I love this! And your pictures are so sweet! Thanks for sharing! Love the bold green! I could use a desk like this...one wiht drawers. Happy Thanksgiving, Linda@bushandapickle.com found you at Talented Tuesday Link Up. Thanks for stopping by, Linda! I hope you find one! I used that color and just loved it! Your desk is gorgeous. Featured you at Be Inspired this morning. Thanks so much for sharing! Thank you Sharon! I'd love to see what you used it on! That green makes me smile every time I open the can. :) Thanks so much for sharing our work! General Finishes Emerald Green will do that. :) Thanks so much for stopping by!